Uncategorized | Afterthoughts & Other Things . . .
I’ve Told Untruths From the Pulpit! I’ve said things in sermons and from the pulpit that are not true. And I’m probably not even aware of most of them. But today I learned of one untruth I’m glad to report to you and repent of. On more than one occasion I’ve reported a “fact” that in fact was not a “fact” at all! I’ve said that Christians experience as much divorce as non-Christians. Ed Stetzer just posted a great post that reveals otherwise. Specifically, the research shows that couples who are active in their faith are much less likely to divorce. Catholic couples were 31% less likely to divorce; Protestant couples 35% less likely; and Jewish couples 97% less likely, which in itself is quite impressive, I must say. So what does this mean for you, for me, and for our churches? I see three takeaways: There will unfortunately still be divorce; discipleship is an integral part of marriage; and we must be careful when quoting statistics. Click over to his blog and read the rest of his comments. It’s good stuff. 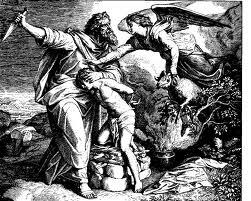 The story of Abraham’s journey of obedience to sacrifice his son of promise has always intrigued me. I love reading it, thinking about it and seeking to find new depths of truth in it — knowing I’ve really only skimmed the surface. This morning in my reading I found this poem in Charles Stanley’s newsletter and loved it! D.S. Martin’s poetry collection Poiema was a prize winner at the Word Guild Awards. His poems have appeared in Canadian Literature, Christian Century, Relief, Ruminate and many other publications. 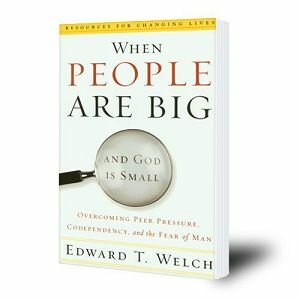 Not much time today to get wordy, so just three things that really struck me from “When People are Big and God is Small.” I’d really like to own them in my life. The one thing that stuck with me the most is the statement about needing people more than loving them. How does that hit youi? There is no way to peace along the way of safety. For peace must be dared. It is the great venture. It can never be safe. 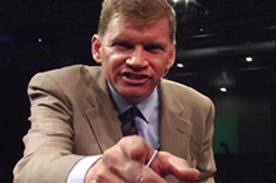 I heard that Ted Haggard began his new reality TV show this past weekend. I can’t believe I missed it! (just kidding!) When I heard about the show I had random thoughts about how and why such a show could even be considered much less actually get on the air. Then this morning I came across this post by Carl Trueman that articulated much of what I was thinking. Now some might read this and feel compelled to comment about an absence of grace or ask about the “God of second chances.” What I took from Trueman’s comments was that instead of allowing our mistakes to shape us further into the image of Christ, too many use their mistakes to make a name for themselves. IOW, the fallen person becomes more known for the glory they take from the mistake than for a life restored by Christ and that glorifies Him! Here’s just a quick excerpt of his comments. To read the whole thing click here. God’s grace at work in my life! It has been a great season of spiritual growth in my life as of late. I can’t explain it all, I don’t understand it that well. I can’t point to any one thing. Instead I think it is the cumulative effect of lots of things going on in life that play on my sin nature and the fears that constantly try to overwhelm me coupled with my time in the Word and the work of the Holy Spirit in my life. The result has been peace. Overwhelming peace in the midst of circumstances that just a few weeks ago would have totally sapped away my vitality for ministry, family and life in general. My gratitude for God’s grace is unspeakable. I’m overjoyed at what God is doing in my heart and mind.